International Student Admission is the process for non-Indonesian nationality to seek admission into regular (using Bahasa Indonesia) or international (using English) study programs in Universitas Brawijaya (UB). Admission of international students into the study programs in UB is subject to availability of the program, subject to the admission eligibility and the student’s successful application of a Student’s Pass (STP) from the regulation of Immigration. Candidates will be regarded as an international applicant if he/she does not hold Indonesian nationality. Demonstrate good academic competence which is proven with a high academic merit. International applicants should apply directly to UB by filling the online application form and submitting a set of necessary documents. The eligibility for admission is based on a desk evaluation conducted by the UB’s admission committee on candidates’ academic achievement. There is no entry test for admission unless a special condition occur. 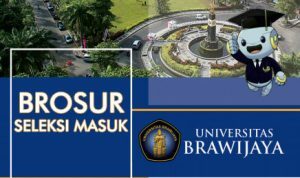 International applicants must meet the academic and language requirements and commit to comply with particular regulations of Indonesian government related to education policy in order to apply for a degree at Universitas Brawijaya. International applicants should demonstrate English language proficiency minimum International TOEFL (ITP) score of 500/IELTS overall score of 5.5 (international program/in English) or should demonstrate Bahasa Indonesia proficiency minimum (regular program/in Bahasa Indonesia). Admission for undergraduate program requires a good academic performance in high school or college. Admission for Master Program requires a good Honor at bachelor’s degree (undergraduate) or equivalent in the subject or related discipline. Admission for Doctoral Program requires an excellent record at master’s degree and capability in conducting academic research. Applicant for Doctoral Program holding international publication (journal) are preferred. Application fee must be paid once at first registration to be processed further. Click the link below if you are ready for online registration.